The 50/30/20 rule is a budgeting method popularized by US senator and bankruptcy expert Elizabeth Warren. It involves allocating 50% of your income to “needs”, 30% to “wants” or non-essentials, and 20% to savings and other financial goals. Aside from helping you save money, this strategy can also help you reevaluate your budget. Should I buy a domestic or imported car? Evaluate the pros and cons of buying a domestic car or having one imported from overseas and make an informed decision before you finance your next car purchase. When it comes to comprehensive car insurance, you’ll need to choose whether you want it for an agreed value or a market value. This decision will be based largely upon your personal circumstances and individual preferences. As trusted finance brokers, we always seek to help you come to the right decision. If you're looking for fair and balanced advice about car insurance, contact the team at Positive Lending Solutions. A car loan is a considerable financial commitment. It’s always important to ensure that you’re satisfied with the coverage you are getting. If you find yourself in a situation where you’re unhappy with your car loan, you don't have to panic. You have several options to change what's not working for you. The expert team at Positive Lending Solutions can help you make the changes you need. Speak to us today to find out what your next step should be. 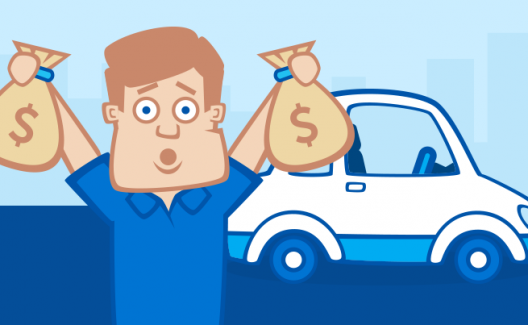 Do I Need a Down Payment for a Car Loan? If you're able to make a down payment for a new car loan, you could enjoy the benefits of lower interest rates and shorter loan terms. Ask Positive Lending Solutions for expert advice on car loans. Low doc car loans can seem too good to be true, especially if you're a business owner or self employed. Why not find out more about whether they're the right car loan option for you? Getting a new car is really exciting - especially when there are so many new car features available to make driving enjoyable, comfortable and luxurious. Can't Afford Your Balloon Payment? Here's Your Solution. It can be really stressful realising that you can't afford your balloon payment. Finding a positive solution to suit both you and the lender is possible with refinancing so speak to us today! A used car loan can be ideal in the right situation, but you'll need to avoid the pitfalls that can come with them. Positive Lending Solutions will take you through the process efficiently. It's important to understand about the different types of car loans that are on offer before you make a commitment. There are lots of available options for you to choose from. Want to do your bit for the environment but also drive in style and comfort? Check out our list of the top electric vehicles of 2018. It's easy to be tempted by a same day car loan, especially when you need a car quickly. Find out how to get fast and fair finance that works long term with Positive Lending Solutions. Is Financial Anxiety ruining your Christmas Season? It’s close to Christmas now and we’re all immersed in the season of parties, excess food and drink, and present buying. It all sounds jolly and festive – but for thousands of Australians every year, Christmas is a time of intense anxiety and worry. If you're thinking about refinancing your car, you'll want to make sure that your credit rating is protected. Always ask for expert help if you're unsure about a refinance option. Can I Refinance My Car Loan with the Same Bank? Refinancing a car loan can be a tedious process and you may simply want to go about it the quickest way. Yet don't forget refinancing a car loan with the same bank isn't always the best solution. Car loan comparison tips can be great - especially when you use them alongside the expert advice from Positive Lending Solutions. Get the best car loan deal for you by careful car loan comparison. Buying a car for a teenager is a big step. Speak to Positive Lending Solutions for the ultimate peace of mind when finding the right car loan for a first car. Being prepared for the costs that come with owning a car can set you up for a successful journey long after you have got your car loan approved. Let Positive Lending Solutions help you on your way. Any lender will want to see documentation for a car loan before they approve it - so it's always good to get organised and have everything in order to help get a fast car loan for you. If you want to pay off a car loan quickly, it's useful to know everything you can about your loan. Figure out the best options for you with Positive Lending Solutions. Finding a business loans broker who you trust with finding you the best business loan rate is incredibly important. It can help to save you time, money and eliminate unnecessary stress.